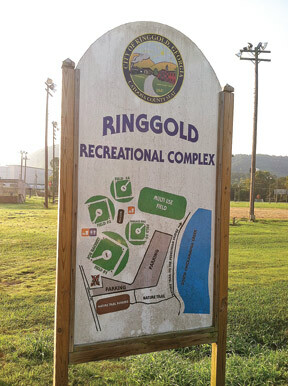 Getting outdoors is a year-round fact of life in Ringgold which is why we offer everyone a chance to get out and enjoy the Ringgold Recreation Complex. Featuring ball fields, soccer fields, running tracks, and our brand new Canoe & Kayak launch along the bank of South Chickamauga Creek, there is something for the whole family to enjoy. Just off of Emberson Drive behind the Martha Denton Pool and the newly renovated Patriot Hall, the Ringgold Recreational Complex hosts some of our favorite annual events, from races to tournaments and more! Enjoy a relaxing walk along Chickamauga Creek in Downtown Historic Ringgold. This newly constructed walk connects the Highway Commercial district to the Historic Downtown district. The walk is parallel with Lafayette Street (Old Federal Road) and crosses the Old Federal Bridge. The Creek Walk offers residents and visitors alike a peaceful area to enjoy fishing, canoeing, kayaking, dog walking, or jogging. 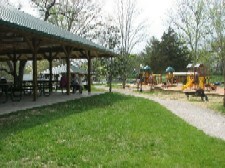 The Creek Walk offers benches at regular intervals and has been extended to connect with downtown sidewalks and to the new Clark Park green space on Robin Road. This Creek Walk serves as a great link between the activity of downtown and our peaceful natural surroundings. 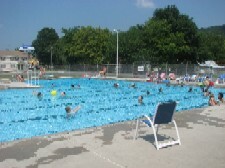 The Martha Denton Swimming Pool, located at 406 Cotter Street, is open every summer and provides a safe and enjoyable recreational activity for all ages. Family summer passes are available, and the pool may be reserved for special evening activities. The pool is open Memorial Day-Labor Day. Admission prices: 0-2 years old is Free, 3 & up $3. Pool Party Rental: $125. More than 50 guests $150.00. Times available for parties are Fri & Sun 8-10, Sat 10-12. There is a $50 non-refundable deposit. Operating hours for the summer: Monday through Saturday from noon to 6:00 p.m. and Sunday from 1:00 p.m. to 5:00 p.m. When the school year begins, open limited hours. Please call for times. This lovely little park, located at 15 Cleveland Street, is geared toward children. The kids can enjoy coil rides, climbing, sliding, small children and infant swings and a toy locomotive to climb in. There are several small picnic pavilions. There is one large pavilion that is available for rental with two rental slots: 10:00 a.m. until 2:00 p.m. and 3:00 p.m. until 7:00 p.m. Each time slot requires a $50.00 deposit of which $25.00 is kept and $25.00 may be refunded if the area is cleaned properly. The Park hours are from 7:00 a.m. until 11:00 p.m. The one and a half mile walk winds along beside South Chickamauga Creek where you go in and around large hardwoods and pass through a large beaver pond. As you get in the heart of the historic Ringgold Gap you witness a beautiful waterfall. 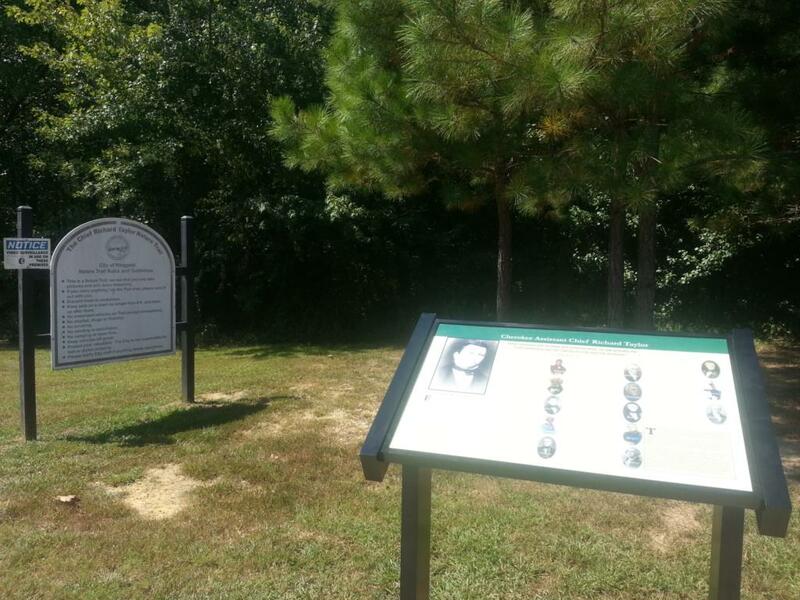 The Ringgold Convention and Visitors Bureau recently dedicated the Trail and a historical interpretive marker to Chief Richard Taylor, who was a chieftain of the Cherokee people who lived in Ringgold until the forceful removal in the 1830's known as "The Trail of Tears." Only four miles from Downtown Ringgold off of Ooltewah Ringgold Road is the beautiful Elise A. Holmes Nature Park that provides visitors a place of recreation that includes over two miles of hiking/walking trails ( one trail is accessible for strollers and the disabled), fishing, picnics, or just a quiet place to enjoy nature. The 1,500 square foot screened-in pavilion can be reserved for groups, and the park staff is available to speak or give guided tours on a prearanged basis. 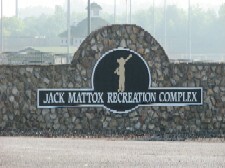 The 55-acre Jack Mattox Recreation Complex opened in 1999 and was named after the county's first recreation director. 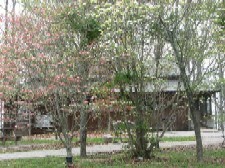 The Complex has seven lighted ball fields, a walking track, and a fishing pond. There are three Recreation Associations (Boynton, Ringgold and Lakeview-Fort Oglethorpe) located throughout Catoosa County. These Associations facilitate and promote a variety of athletic programs and leisure based activities. Allocated S-P-L-O-S-T revenues continue to be used for park grounds and new fields for baseball, soccer, and football. The Dragging Canoe Launch is located in the Downtown Ringgold District Chief Richard Taylor Nature Trail and provides access to South Chickamauga Creek.